The 17-year-old student who authorities said killed 10 people when he opened fire in an art class in his Houston-area high school appeared "weirdly nonemotional" on the morning after the rampage, one of his lawyers said on Saturday. The teenager, identified by law enforcement as Dimitrios Pagourtzis, has been charged with capital murder and is being held without bail in Santa Fe, Texas, where authorities said he went on a shooting spree shortly before 8 a.m. on Friday. Nicholas Poehl, one of two lawyers hired by the suspect's parents to represent him, told Reuters he had spent a total of one hour with Pagourtzis on Friday night and Saturday morning. As the shooting unfolded, Pagourtzis spared people he liked so he could have his side of the story told, a charging document showed, but there was no immediate indication why he apparently targeted the art class. Pagourtzis' family said in a statement they were "saddened and dismayed" by the shooting and "as shocked as anyone else" by the events. They said they are cooperating with authorities. Investigators had seen a photo of a T-shirt on the suspect's Facebook page that read "Born to Kill," and authorities were examining his journal, Texas Governor Greg Abbott told reporters. But there were no outward signs he had been planning an attack. Asked if Pagourtzis had provided authorities with information about the shootings, Poehl said: "Honestly because of his emotional state, I don't have a lot on that." 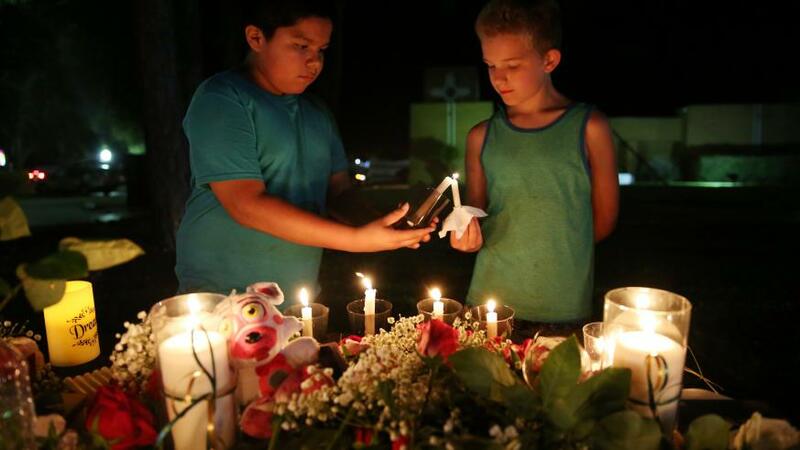 The Texas rampage again stoked the nation's long-running debate over gun ownership, three months after a student-led gun control movement emerged from a mass shooting in Parkland, Florida, which left 17 teens and educators dead. Students and faculty, bussed on to campus in small groups, were allowed to enter the high school on Saturday to retrieve belongings, though investigators closed off a section of the grounds. Police kept reporters about 100 yards (91 meters) away. In a letter to parents dated Friday but posted on the district's website on Saturday, Superintendent Leigh Wall said eight of the dead were students and two were teachers. Authorities had earlier said that nine students and one teacher were killed. A vigil was held on Friday night for the victims, who have not been officially identified. "This will bring us closer together - hopefully, a positive impact from something negative," said Clayton George, 16, who played football with the suspect. The Pakistan Embassy in Washington D.C. identified one of the victims on Twitter as Sabika Sheikh, a Pakistani exchange student, while the brother-in-law of Cynthia Tisdale, a teacher's aide and mother of four, said on Facebook she was killed in the attack. "Absolutely horrific," he tweeted about the shooting. Texas' governor, Abbott, told reporters that Pagourtzis obtained firearms from his father, who had likely acquired them legally, and also left behind explosive devices. Abbott said Pagourtzis wanted to commit suicide, citing the suspect's journals, but did not have the courage to do so.